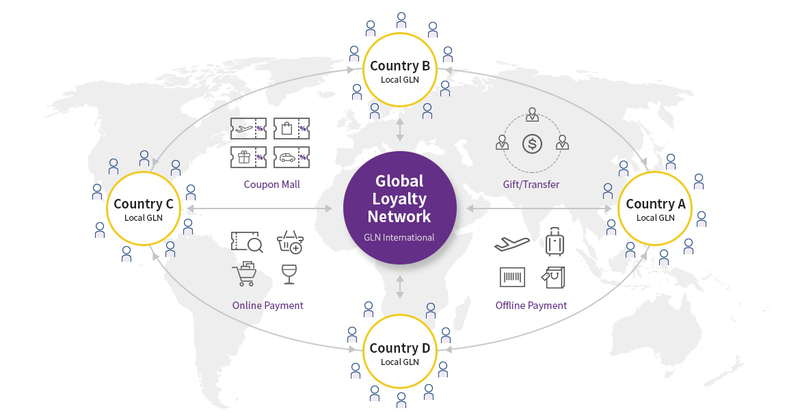 Global Loyalty Network (“GLN”) is a global integrated platform that offers cross-border use of digital assets and benefits around the world. Get started on building and expanding a new platform that will lead all of the participants to create a greater synergy. GLN broadcasts transaction data from each partner to each node. Swift, accurate settlement is possible without any additional reconciliation process. of options to easily access various GLN services. Exclusive deals and discounts around the world will be offered through Coupon Mall. Faster and safer digital asset transfer becomes available across the borders. Global online payments with digital assets become available in a simple way. Cross-border payments become easier and simpler using partner’s infrastructure.